Last Thursday, Nintendo unveiled its new game console, Nintendo Switch (launching March 2017), and the news started trending almost immediately. But it was hardly the only tech news to dominate social platforms last week. Beats By Dre’s new "Got No Strings" campaign grabbed widespread attention, NASA saw three million views for an interview with an astronaut in space and Arby’s—not exactly a Silicon Valley behemoth—got some play for its own playful spin on the Nintendo news. Unmetric, a social-media intelligence firm, uses an analytics platform to track brands with the highest amount of engagement for posts on Facebook, Twitter and Instagram. Unmetric’s engagement score rates each post from 0 to 1,000, depending on the amount of user interactions. Nintendo posted a trailer for its upcoming new game console on Thursday. The 3:35 video shows examples of how the console can connect to a TV and then "switch" into a hand-held, portable device. The Facebook post received six million views, 104,000 reactions, 167,669 shares and 26,000 comments. One commenter wrote, "That looks really amazing. It is retro, yet futuristic. Very intuitive. You have won me back Nintendo." The same day as Nintendo’s announcement, Arby’s showed its excitement for the new console. 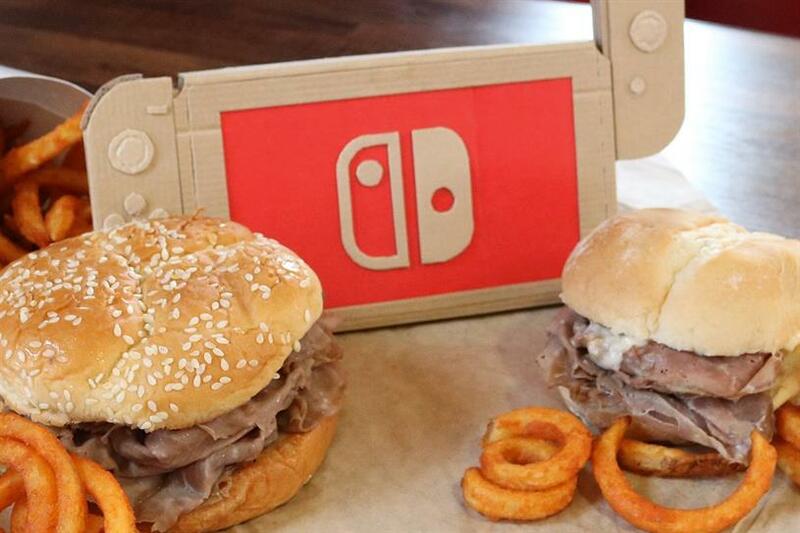 The chain tweeted out a cardboard version of Nintendo’s Switch surrounded by Arby’s sandwiches and curly fries. The tweet got 11,076 likes and 5,059 retweets. One commenter, impressed with the tweet, wrote, "That's some impressively quick building/photography. Kudos for the agility!" "I've got no strings to hold me down. I had strings but now I'm free." In a tweet that generated 26,420 likes and 7,703 retweets, Beats By Dre unveiled its new campaign, called "No Strings Attached," which focuses on the brand’s new wireless headphones. The 1:43 spot, the first from Anomaly, which was only recently added to the brand’s roster, uses Pinocchio and a handful of stars like Michael Phelps and Nicki Minaj, and showcases three new headphone models—Beatsx, Beats Solo3 Wireless and Powerbeats3 Wireless. NASA astronaut Reid Wiseman answers dozens of questions about living on the International Space Station in this Instagram post that received three million views and 5,831 comments. Wiseman talked about doing his laundry and even urinating in space. Wiseman spent 165 days in space onboard the ISS in 2014. Aflac’s Facebook page is dedicated to the brand’s beloved duck mascot. This Breast Cancer Awareness Month post directs shoppers to Aflac’s website, where they can purchase a T-shirt, bracelet or an Aflac Duck plush toy to support the American Association for Cancer Research. This simple but effective Facebook post garnered 73,000 reactions, 5,015 shares and 544 comments. This photo captures a skier’s journey down Alpi Pennine, a mountain range in Switzerland. The post invites viewers to zoom into the picture to spot the skier, applying Instagram’s recent update to the app. This post received 213,000 likes and 3,037 comments.